This is the summary of what Yoshimaru Higa spoke through our private net TV. I have inherited the will of my late mother who was a shaman in Okinawa. Our divine works cover basically three cycles. They are the cycles the nature, the political developments and the world of spirits. They include the worlds of God, ancestors, nature and people. These worlds can stay stable only when the rules of the Yin and the Yang work properly. Our activities are composed of two. One is our activities in the world of the invisibles including praying. The other is our actual approaches in the real world. Many people may think that we are trying to appease the natural disasters like earthquakes and eruptions by our divine works. They are important to do so but it is not the only purpose. Natural disasters happen naturally. The heavenly Earth is alive and so it is quite natural that these disasters take place from time to time. I received many visions since my childhood. I sometimes heard the words of God that told me about our future. I did not understand what they meant when I was young. But now I am beginning to know what they are. One of my findings is that the heavenly Earth is about to enter the time of big change. It is the time of the major movements of Earth’s crusts (diastrophism). In other words, the Earth is about to be reborn. We people have our own roles to play. We are born here to do something on our own. It is our destiny. People will evolve much more and some day we will be able to share our awareness with other animals and plants. It will take a long time. It may take generations. It is what I have learned through revelations and divine works. And now, a big change is taking place. A big change is happening to the revelations I received in the past. Everything seems to be speeding up. The movements of the Earth’s crusts are speeding up more than 10 or 20 times faster. We people now have to realize that we must do something about the destruction of the natural environments. We must know that we have to protect ourselves. At least, we should not start any big war. We should not use any powerful lethal weapons. The revelation tells me that we should not start the 3rd World War that may destroy all of us. If we do so, all of us will be extinguished from the surface of the Earth. Our divine works are not for foretelling what will happen. What I am telling may happen. But I am not a prophet. When I see the horrible visions of our future, I get terrified, of course. Sometimes I cannot stabilize myself with these horrible visions. They can happen. And they can be prevented. We need our prayers to try to prevent such undesirable happenings in the future. Our divine works are for prayers and for hoping a better world. What we should do is to deal with any happening at any time. We should not panic at any time. When we pray, we can try to pacify ourselves and keep stable minds. It is the reason why we are asking you to join our prayers. You can pray in your own way from anywhere. Your prayers can help us and things get better. Our prayers are our actions. They are very important and effective. Revelations are hints to think about our future. They are teaching us what we should not make happen. So it comes back to our respective actions. Our savior is not any extraterrestrial or spirit. It is us. It is people. It is ourselves. What we should do is to keep our life for generations. It is the most important of all. It is the duty we people are carrying today. I have seen many visions including that of the incident of September 11. In my vision, there are 10 steps to reach a total war. The recent visit of the leader of South Korea to the Island of Takeshima, offshore of the mainland Japan, is the 7th step. Now that it became the reality, we are nearing the danger. It is such a dangerous move in this area. Now we are witnessing happenings that are related to the Senkaku Islands between China. I am seeing the vision that Japan is going through with another bubble economy making a lot of money. Why another bubble economy? It is intentionally planned to make Japan rearm itself with a new conscription. When things go bad, it may lead Japan to wage a war against China. It is the vision that I have. I do not want this happen. I guess not so many people want this happen. So we should think what we should do now. So we should be more serious about our own future. We are planning to hold a joint prayer in Okinawa on September 22 at noon. We will do our divine works at sea. Please join us. We will be having a big praying day on September 30, too. We will be praying on that day as well. Please join us. Thank you for your cooperation as always. Let me tell you that we are going to pray at the top of Mt. Fuji on Aug.24. Please join us. This prayer has something to do with the visions I have been seen for the last 10 years. They show me the political and economic confusions, natural disasters starting in around 2013, the conflict between China and Japan in around 2015 and the outbreak of the 3rd World War in around 2016 and 2017. They indicate many factors---terrorism, political and economic transactions and so on. They include many problems of energy, territories and national interests. Then natural disasters such as earthquake, tsunami, eruption and heavy rain add up. They invite huge political and economic confusions in the world. They reach Japan, China, the Korean Peninsula, Russia, Taiwan, the Philippines, Indonesia, Vietnam, Thailand, Cambodia, Laos, India, Pakistan, the Central and West Asia , Africa and other areas. In general, they may invite war seeking energy and religious leadership. But I was told that there is no possibility of developing into the 3rd World War by revelations. strife between Japan and China would be postponed from 2013 to around 2015 or 2016. Then the disaster took place on March 11 in 2011. It changed everything. Chishima (Kuril ) Islands between Japan and Russia. They indicate that we have problems of seeking new sources of energy. So they eventually will lead to political and military matters. When I talk about political matters in our blog, I have to be very careful because I may invite misunderstandings. Now we are standing on a tipping point. It is a very critical time. I have the fear that the whole situation will invite many undesirable happenings. When we are in such a situation, we tend to lose our cool mind to see things straight. We need to have our own strong mind to see our future now. We invited distinguished Elders, such as Don Alejandro and Ms. Elizabeth Araujo from Guatemala, to Japan in June and conducted the whole series of divine works by taking one month altogether. Our divine works were good enough to make a good path to a brighter future. Our prayer on Aug. 24 at the top of Mt. 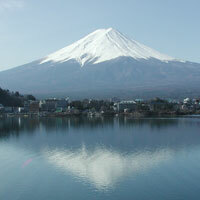 Fuji will be the divine works to succeed these already done in June and July. After we returned from Kyrgyzstan, we have been worrying about possible natural disasters in Japan. We visited Hokkaido, northern part of Japan. It is because I was told that it would be important to pray in Hokkaido. It was not to let any big disaster happen in the center of Japan, Kanto area. When any big disaster takes place in the center of Japan, it will invite such a misery. It may lead all of us to an undesirable situation. I was told by the revelation that the big earthquake that was supposed to happen was dispersed this time. I was relieved. Now we are seeing spread of “summer cold”. It could be connected to other major infections including herpes. Children are particularly vulnerable to them. I also received the revelation about the territorial disputes between Japan and Russia, South Korea, China and Taiwan. When things get worse, we might see the worsening of our mutual relations and economic situations. They can happen from the latter part of this October. We have two ways to go. One is to go for a good future. The other is for a total war. We are on a tipping point. My husband, Yoshimaru Higa, returned back to Okinawa but he was very ill. He is telling me that he has been through with exchanges of views with many invisible beings. Probably he got ill out of these exchanges of views. He went to the hospital for checkup. Now he is getting better. This time both of us will be travelling together by car. I cannot let my husband do the divine works alone under these circumstances. We will be in the mainland Japan on August 1. In the meantime, we will be dealing with many pending matters in Okinawa. My husband will be speaking on what he learned at the gathering on August 5 in Tokyo. Now let us introduce the words of God that I received today. We should continue doing what we are doing now. It is not only for us people alone. It is for all the living beings on this motherly Earth. How you take which is better is up to your decision. Where and how you look at is up to your choice. I wish you to include many living beings and this star in the picture and vision you have. Yoshimaru Higa is heading for Sakurajima in Kyushu. The god at Mt. Asoh told me to pray at many places including Mt. Kirishima, Fugendake and Sakurajima. I am planning to go and visit Hokkaido soon. So I cannot do all the things that the God of Mt. Asoh told me to do. I told him that I will visit many nuclear power plants all around and pray. He urged me to go and visit the God at Mt. Sakurajima. He said it is a must. So I will go there and then move to the nuclear power plants at Sendai in Kagoshima. Then I will return back to Okinawa for a while. We are planning to hold a joint prayer. We will let you know about it soon. Thank you for your cooperation. Thanks to your help, we finished our important divine works together with our important elders---Don Alejandro, Ms. Elizabeth Araujo and Elder Te Porohau. We cruised from Okinawa, Hyogo, Mt. Asoh, Mt. Fuji, Lake Yamanaka and Mt. Asahidake(Hokkaido). This is the completion of the divine works envisaged by my late mother. And it also means that we are starting something new again. I started the divine works in 2005. I took the whole Japanese Peninsula as the body of the Dragon and continued it till September of 2010. It will be succeeded and continued. As for the God of the Dragon, I will set up a new system of our divine works. A new combination of fire, water and air will be made. Elder Te Porohau was important to meet to learn about this new system of divine works. The divine works with Don Alejandro was great in that we could see the change of time and the clue to the future. They were divine works to keep continuing our life. Those with Mr. Elizabeth Araujo were important in that we learned the importance of women in these divine works. We have been working for decades for making a better world including our natural environments. We will be continuing to do the same divine works by inviting elders from the world. As for us, we have done our divine works in and out of Japan. Outside of Japan, we did them in Greenland, Alaska, Canada, the American Continent, New Zealand, Guatemala, Taiwan, China, Sakhalin, Vladivostok, India (this case, Rica Higa alone) and Kyrgyzstan. We would like to visit Bolivia, Peru (Machu Picchu and the rest) and the Andes. Also we would like to join the fire ceremony in Guatemala in November. To my surprise, after our return from Kyrgyzstan, the interpretation of the revelations was totally changed. This may be the result of our divine works in June. Now we are heading for the lake of Biwa (or Biwako) and the nuclear power plants at Ooi (Fukui Prefecture). We have restarted our divine works from the foot of Mt. Fuji after we sent off all the elders from Japan. We have to be careful about making our new plan. Let me be very frank now. I was hearing what these elders were telling us as messages. I did not speak for myself during the whole time. So I had no time to tell the people about the revelations I was receiving. On August 5, we will be holding a study gathering. On this occasion, I am planning to talk about these revelations. I will be talking about the visions I am seeing in every field of Japan and the world. I will try my best to tell about them much more in details. The details will be informed to you soon. According the revelations, I may not be able to return to Okinawa as I wish. But I will try my best to coordinate my plan. On August 23, we will be holding important divine works at Mt. Fuji. You will be kept informed about this as well. You can see the Island of Chikubu (or Chikubushima ) in the Lake of Biwa vaguely. Thank you so much for your support and cooperation as always. We sent off Don Alejandro Cirilo Oxlaj and Ms. Elizabeth Araujo for Guatemala on July 6. For over one month since June, all the important elders from the world, Don Alejandro, Ms. Elizabeth Araujo, Mr. Te Porohau (chief of the Waitaha) and two of us have done our joint divine works. We have visited Okinawa, Awaji, Mt. Asoh, Lake Yamanakako, Mt. Fuji, Mt. Asahidake and the other sacred places in Japan together. It was such a long and important pilgrimage. After this, Don Alejandro, Mr. Elizabeth Araujo and we visited Kyrgyzstan for our joint divine works. We have prayed for our good future at all the places we visited. This important pilgrimage has finished at long last. We thank you for your strong support. Now we would like to introduce you the words of God told to Rica today. It is the time to open the door of time. This door is for everyone. Your wisdom can open this door. Your action can open this door. This is the door that leads us to the future. Keep this door open for you and your followers. Both of us are now on our praying trip in Japan after coming back from Kyrgyzstan. We will be telling you about what we have done more in details later. Please wait for our reports. We want you to understand what we are saying in this blog. We are not saying that the destruction of the human kind will become real. We are not saying that the Mayan prophecies are talking about the end of the human kind. It is true that I, Yoshimaru Higa, is telling you the worst situations that can happen. They are the visions told to me by revelations, not the Mayan prophecies. First let us tell you today’s words of God. Try to find what is going on one by one. Try to see what is happening one by one. You may find it puzzling sometimes. You may find it complicated sometimes. Try to sort what is good and bad for you. Try to do something good for you. Open your eyes and minds. Keep moving toward your own future. We finished our study meeting in Tokyo on May 12. I wanted to go to the nuclear power plants in Fukui Prefecture, facing the Sea of Japan, but I had to stay in Tokyo for meetings on the coming Fire Ceremony in June. Then I moved to Fukushima. I did a morning prayer there on May 14. The following day, I prayed at the lake of Suwako (in Nagano Prefecture, center of Japan). Then I moved to the Mt. Yatsugatake (in Nagano, one of the volcanoes). I stayed there till next morning. I got several revelations there. I saw the visions of young people and students being drafted for wars. I even saw the visions of the fighting fields in the war. Such terrible visions they were. I visited the several nuclear power plants in Fukui Prefecture facing the Sea of Japan and prayed for peace. Now I am moving to the west. I am going to Kyoto, Hyogo, Tottori and Shimane Prefectures and visit nuclear powers plants there. It is very strange to see myself in agony and suffering from anemia. It tends to come to me when something big is happening in the world. The symptom stopped once and it started again. I could not eat properly since May 4. I am also suffering from diabetes. Hope this situation will get better. I am receiving many visions. Some of them do happen and some of them do not. My wife and I are doing our best in our divine works to prevent the worst. The Mayan prophecies are not implicating the destruction of the human race. The Mayan Calendar is periodical. When it ends, it will start once again. Any information that is telling about the end of the Mayan Calendar in December of 2012 is misleading. There are many people who have distorted the real meaning of the Mayan Calendar. They have sent misled information to the mass media and the mass media re-created the misled information for the public. To know it, the best is to hear what Don Alejandro says. This time we are going to welcome Don Alejandro to Japan. I hope that it will be the best opportunity of hearing the truth. Japan is situated on many volcanic belts. It is situated on many active faults. Naturally there is no doubt about future natural disasters, including earthquakes and eruptions. What we would like to tell you is simple. We want you to accept what may happen to us as they may and get prepared for them. We want you to accept the movements of natural environments. We want you to accept the possibility of accidents at nuclear power plants when these natural disasters happen. And we want you to have your own conviction that we can overcome them. For that, we need to judge what is happening and may happen to us with stable minds. Let us tell you today’s words of God. You may see many things now. You may see something you leave for other people. You may see something you want to change. You may see something you want to fix in right ways. You may see something you want to help grow for the better. Try to find your way that leads you to your future. Try to have your courage that leads you to your future. Try to keep them with you. Try to keep walking on your way. Try to build your own future. Try to build the future for your followers. Let me tell you what we have prayed in our divine works. We have prayed peace for the following possible happenings. We received the revelation. It tells me the followings. Tokyo may be damaged by series of big tsunamis. This is the worst vision shown to me by the revelation. It is not the reality yet. It is the possible chained reaction of the movements of the environments. Our divine works are to be done to prevent all this from happening. We are determined to do our best.